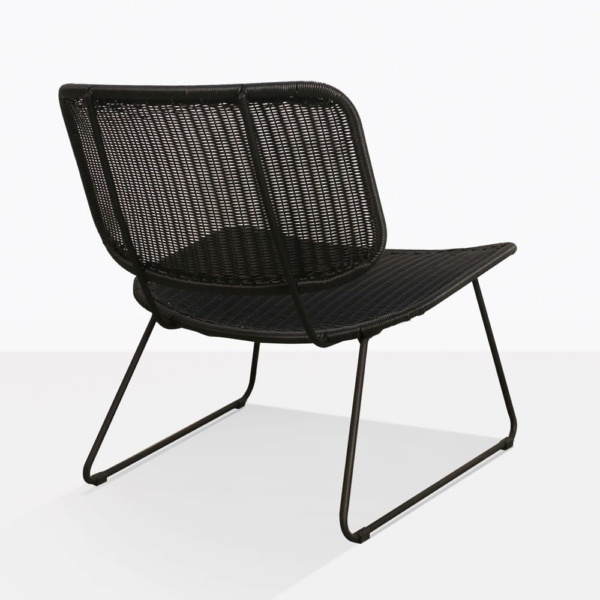 Delve into distinguished design with the stunning, modern glory of the Polly Outdoor Wicker Relaxing Chair in smart black colour. 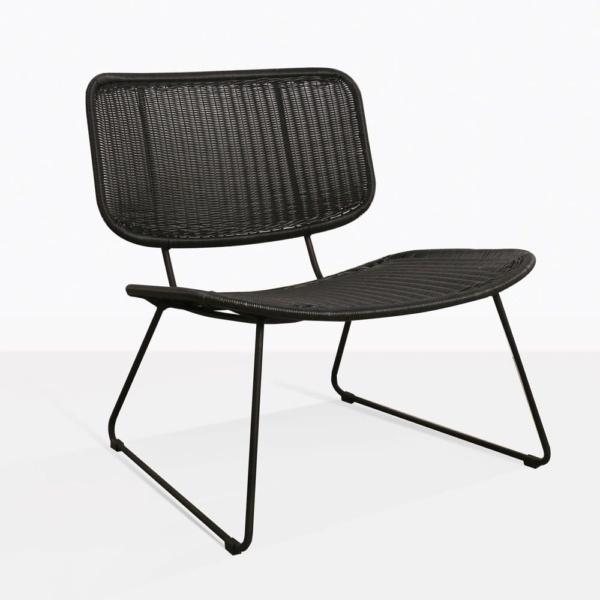 A fabulous collaboration of hard wearing modern materials and chic, contemporary design, the Polly Wicker Relaxing Chair is a treat for the eyes, a relief to the aching legs and an example of pure quality. Our Polly Chair features a sturdy, curved frame that holds a tightly bound back and seat made from incredible outdoor, synthetic wicker. The look is a nod to vintage furniture of the 50s and 60s while fitting in with the stylish and simple Scandinavian luxury furniture. Be prepared for utter relaxation in the comfort of your own home. Whether indoors or out, or even in a commercial space, the Polly Wicker Outdoor Relaxing Chair is versatile, stylish and so attractive. Envisage a calm, collected courtyard that is the epitome of chic, with four Polly Chairs around a low round coffee table. A very cool, minimalist alternative to a deep seating unit and a place for you to embrace tranquility. A couple of pot plants with beautiful greenery, an umbrella overhead and you’re set for a joyful and relaxed getaway in your own home! Try the Polly Relaxing Chair in black on your apartment balcony for a simple feature to make the most of your modest outdoor space. A side table will finish off the look and keep you collected in a superb environment. 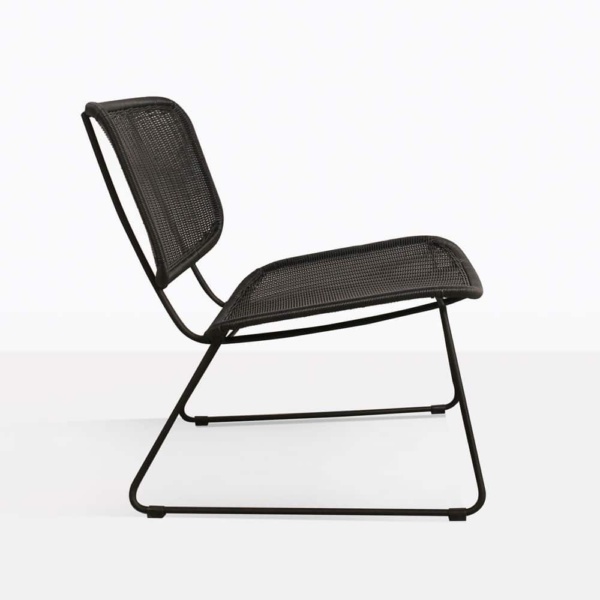 Made from strong materials, including powder coated steel and polypropylene, UV treated wicker, the Polly Chair is not only a good looking piece of furniture, but one of quality and longevity. A collection that includes the Polly Dining and Side Chair, this relaxing chair is also available in white, as well as black. Call us today and order yours. You can’t regret comfort, luxury and style!